Odds are you’re paying too high a tax bill today. The good news, though, is that means you could see a notably higher refund next year. 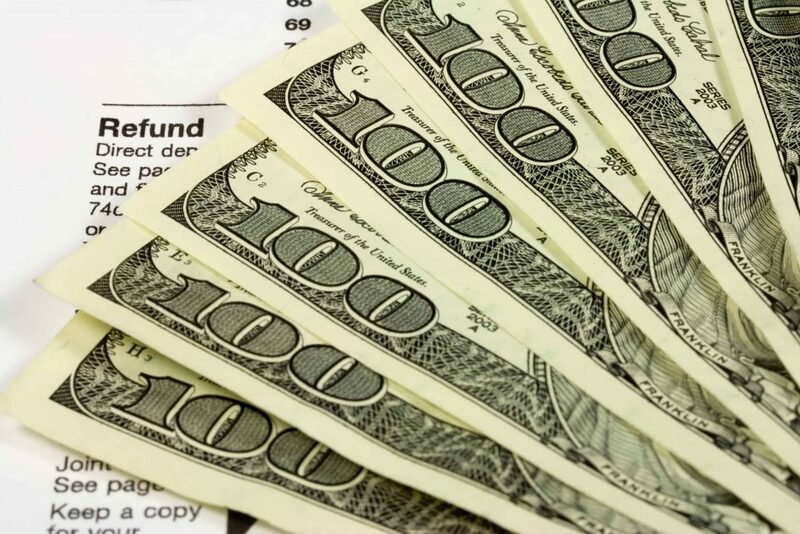 A research note from Morgan Stanley estimates 2019 refunds will top this year’s by 26%, working out to an extra $62 billion given back by the Internal Revenue Service. Payroll taxes are where people have been overpaying, says the investment firm, as most haven’t changed their withholding. Combine that with the GOP’s tax bill, which was passed last December and it increases the odds of a nice refund. The bulk of the refunds,says Morgan Stanley, will be sent in February. And that could have some positive effects for the economy. “We expect this boost in tax refunds to result in a sharply higher savings rate and elevated sales of big-ticket items in February and March 2019,” the firm wrote. The bulk of people getting refunds—some 65%—tucked them into savings this year, according to a Morgan Stanley survey.Meanwhile, 35% paid down debt and 12% splurged on a vacation, while 8% made a major purchase, such as a car or TV, with the refund. Better news? Your chances of an IRS tax audit in 2018 are the lowest in 15 years, as the branch has lost close to one-third of its enforcement staff since 2010. That’s not expected to change next year. Spear itself. Nine out of 10 cyber-attacks and data leaks begin with spear phishing e-mail, often tailored to individual practitioners. 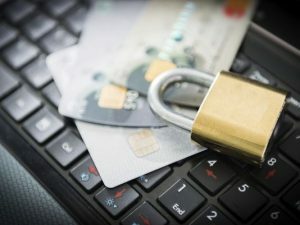 Spear-phishing crooks pose as familiar entities, and have usually done extensive research to target a specific audience – tax pros are favorites – to gain passwords or install malware. Red flags: The supposedly familiar source of the e-mail; conversational but ungrammatical and oddly constructed language; calls to action urging opening of a link (often a “tiny” URL to mask the true destination). Hostile takeovers. In these mushrooming schemes, a thief manages to steal or guess the username and password of a tax pro, resulting in the imaginable and horrific havoc with EFINs, prep software accounts and more. Again, these hardworking thieves do their homework to pose as a familiar organization, potential client, another tax pro, a bank or a cloud-based storage provider. Links or attachments may also load malware on computers to capture keystrokes. Red flags: Urgent and threatening calls to action; pages that looks like the login pages for IRS e-Services or a prep-software providers. Day at the breach. In the first five months of this year, about 107,000 taxpayers reported being victims of ID theft — a total actually down from previous years — but the IRS also saw an jump in ID theft involving business-related tax returns, including 1120s and 1120Ss, 1041s and Schedule K-1 filings. The IRS will soon ask tax pros to gather more information on their business clients to help authenticate returns, including Social Security numbers, payment history and parent company information. Red flag: Potential business clients claiming they don’t currently have an EIN. Ransom devil. Ransomware attacks are on the rise worldwide, locking computer systems and holding sensitive data hostage until users pay crooks to release the data (though often scammers won’t provide the decryption key even after a ransom is paid). Users generally are unaware that malware has infected their systems until they receive the ransom request. Remote control. A tax pro’s entire digital network could be at risk for remote takeover by cybercriminals who exploit security weaknesses to access the devices to access client returns, complete and e-file those returns, and then secretly direct refunds to their own accounts. Especially vulnerable are wireless networks, including mobile phones, modems and router devices, printers (clients’ returns might still in the device’s memory), fax machines and televisions that retain their factory issued password settings. Red flags: Phishing e-mails with attachments. BEC to the wall. A burgeoning W-2 scam — a.k.a., a business email compromise, or “BEC”– is one of the most dangerous phishing e-mail schemes trending nationwide. A cybercriminal impersonates a company or organization exec’s e-mail address to target a payroll, financial or HR employee with a request for a transfer or funds or a request a list of all employees and their W-2s. This allows crooks to file fraudulent returns that mirror the employees’ actual income, making the fraud harder to detect. Red flags: Slight variations in familiar URLs (for example, legitimate abc_company.com e-mail domain reads as “abccompany. com”); “reply” e-mail address is different from the “from” e-mail address. 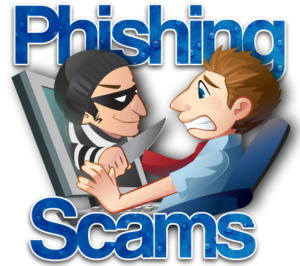 Red flags: Spear-phishing e-mails impersonating IRS e-services. Protect clients. Tax pros must take proactive responsibility for safeguarding client data. Proper plans assess risks to taxpayer information in offices, list locations where taxpayer information is kept, and formally document how to safeguard information. Red flags: Service providers lacking an adequate level of information protection. I know exactly what you mean tcalverley – I have had the same problem with the IRS giving us the “Congratulations – we have waived the penalty based only on your clean compliance history” when I have clearly explained that the small $60 (or whatever) penalty they have assessed was in error. They don’t listen and who wants to spend any more time on a small penalty like that – but if within three years from that, the taxpayer (for whatever reason) ends up with a large penalty, you better believe I’m going to fight tooth and nail to get First Time Abate for THAT penalty since they never should have issued the first penalty to begin with. So far we haven’t had to deal with this yet (i.e., we haven’t had the IRS erroneously use FTA for a penalty that THEY issued in error and then have another more substantial penalty within three year years that we needed to get them out of). Also – by the way, I have had IRS agents/assistors tell me on the phone that when it comes to PAYMENTS they don’t have to use the postmark date. I know of taxpayers who have mailed their payments on the due date only to be smacked with interest and a penalty for filing late and when I called to say they were wrong because they mailed it on the due date, they said nope – they don’t have to go by the mailbox rule when it comes to payments. We have had several cases of taxpayers assessed penalty because of IRS errors in posting payments using the postmark date rather than received date as the payment date. We write to the IRS to explain the mailbox rule and ask that they correct the posting date. The IRS replies with a waiver based on the taxpayer’s “clean history” thereby using the first time abate when it is not appropriate. To date, it has been futile trying to convince the IRS that the taxpayer did not intend to use the first time abate and that the IRS error should be corrected (In much nicer wording). I usually prefer to defend a penalty assertion or assessment by using a “reasonable cause” defense or other substantive defense before requesting a “first time abate.” I want to save that for when it’s really needed, rather than have my client waste it on what may be a minor penalty and then not have it when the stakes are much higher. However, because the cost of achieving success with first time abate may be much less than asserting a substantive defense, the client has to be made aware of the pros and cons of the alternatives. In many cases, the use of first time abate may be the preferred approach just based on the cost factor. As the main part of the 2016 filing season comes to a close, it is time to emphasize the coming important changes to the preparer due diligence requirements, refundable credits, and refunds for the 2017 filing season. The December 2015 extender bill did more than just extend the expiring tax provisions. In the Protecting Americans from Tax Hikes (PATH) Act of 2015, Congress included a “program integrity” section that dealt with the Earned Income Tax Credit (EITC), Child Tax Credit (CTC), and American Opportunity Education Tax Credit (AOTC). The integrity provision of the PATH Act that will have the greatest impact on taxpayers that claim EITC is the one that requires the IRS to not release refunds for returns that claim EITC or the Additional Child Tax Credit until February 15 beginning with the 2017 filing season. Therefore, any return claiming the EITC or CTC credits that is prepared in the early part of the filing season will not be released for up to 4 weeks (depending on when the return is filed) instead of the standard 21 days or less timeframe. The PATH Act expands the EITC due diligence requirements under Code Section 6695 (including the $500 penalty) to now include the Child Tax Credit and the American Opportunity Education Credit beginning with 2016 individual federal returns. This means that the IRS will be making changes to Form 8867 (Paid Preparer’s Earned Income Tax Credit Checklist). The form will be renamed and additional due diligence related questions will be added for these two additional credits. The IRS is in the process of modifying the due diligence regulations for the addition of the Child Tax Credit and the American Opportunity Education Credit. When the IRS releases these regulations, we will give you more details on what they contain and what changes will be made to the Tax Year 2016 Form 8867. Individuals cannot file an amended return to claim EITC for prior years that a qualifying child did not have a Social Security Number. This provision went into effect on the date the PATH Act became law on December 18, 2015. The IRS can bar an individual from claiming EITC for 10 years if the IRS finds they have fraudulently claimed the credit. The EITC is now subject to the penalty for erroneous claim for refunds and credits. Incorrectly claimed refundable credits will now be taken into account when determining the underpayment penalty. If the IRS determines that an individual has intentionally disregarded the rules for claiming the Child Tax Credit and/or the American Opportunity Education Credit they can bar them for two years from claiming either or both of these credits. Individuals cannot file an amended return to claim the Child Tax Credit or the American Opportunity Education Credit for prior years that a qualifying child did not have an ITIN or SSN. The EIN of the educational institution will be required to be reported on Form 8863. If it is missing the IRS will reject the return. As of this morning, the IRS has paid approximately 70% of refunds related to taxpayers who filed within the first weeks of the season. That leaves approximately 30% of these taxpayer refunds yet to be paid by the IRS. This year, the IRS has generally paid refunds on a weekly cycle in a large batch of refunds near the middle of each week. In the past few years, the IRS tended to pay more refunds on a daily cycle. We expect another large batch of refunds to be released by the IRS sometime next week, most likely near the middle of the week. Many of the currently unfunded refunds are expected to be paid by the IRS in the next weekly batch. If you have Taxpayers that have not received their refund and it has been more than 21 days (or thereabouts) we strongly recommend having the Taxpayer call the IRS to verify their identity. This identity verification may be the reason for the delayed funding. 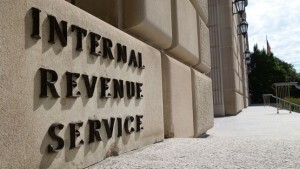 The Internal Revenue Service said it resumed processing individual and business tax returns at approximately 5 p.m. Thursday following resolution of its system outage. 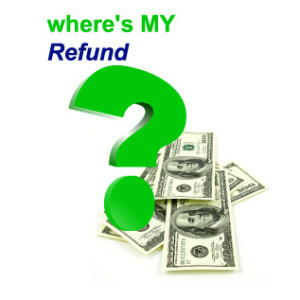 Many of the tools and applications came up earlier on Thursday morning, including “Where’s My Refund” on IRS.gov. The systems had been down since Wednesday. As of 7am Eastern this morning, the IRS has still only released a small trickle of refunds so far this year. Never in the history of e-file have most early filers waited this long to receive their refund. By the end of today, the IRS is scheduled to release approximately 10% of refunds under $1000 which were filed prior to 1/23/2016. Tomorrow, the IRS is slated to release some additional refunds which were filed on 1/23 and 1/24. However, as is the case today, our information shows that the IRS will again release only approximately 10% of refunds under $1000 during that time period. Put another way, for the most part, the IRS has not yet released ANY refund over $1000. This situation is nationwide, affecting all taxpayers and all tax preparers throughout the country. Based on our records, never in the recent past has the IRS waited this long to release the initial large batch of refunds related to early filers. Keep in mind that it is still possible that additional refunds will be released by the IRS today or tomorrow other than those mentioned above. Also, it is likely that we will receive additional information over the next two days on when the remaining refunds will be released. If that occurs, I will let you know. 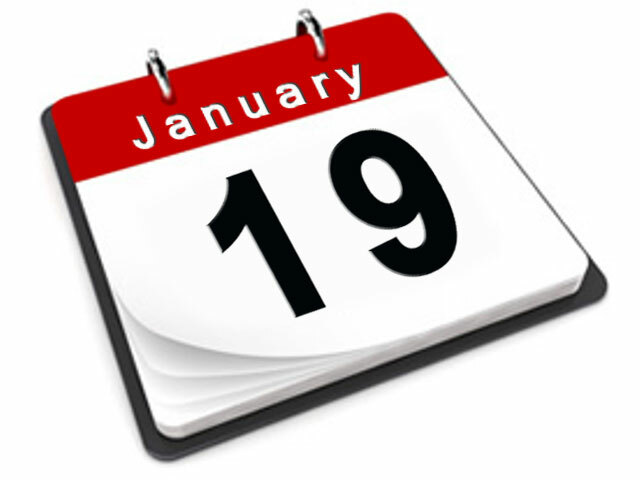 The IRS announced that e-filing will open on Tuesday Jan 19th. Tell your clients and get ready for another great tax season with Zip Refund. Here is a list of key provisions.